happy holidays our dear friends! we hope you’ve all enjoyed your time with all your family and friends! in a time of big celebration and announcements, we would like to make one too! we’re now on ETSY! 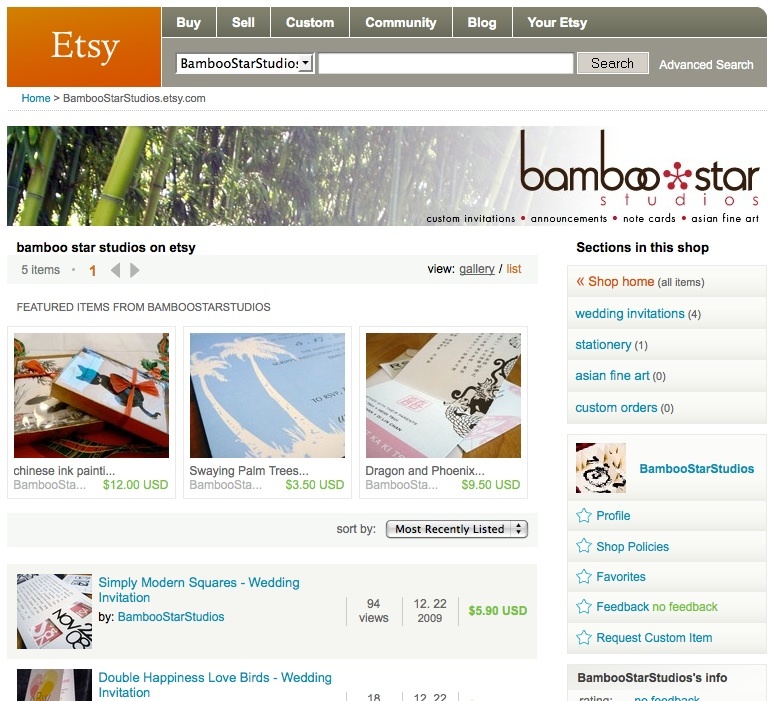 one of the web’s premier marketplaces for handmade crafts, we decided that it might be a neat way to expand our horizons. and while the majority of our work is completely custom to each of our clients, we have started creating a line of standardized designs — available to anyone with a few tweaks in color and information. simple, elegant and easy! while we are still working on getting our own shop up and running, please have a look, and continue to check back with us to see what we’re offering!